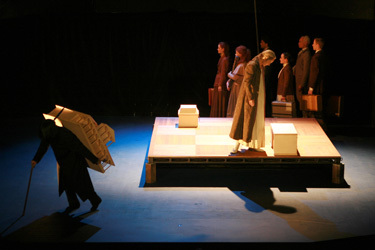 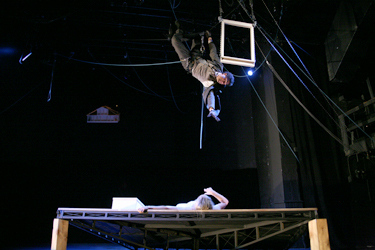 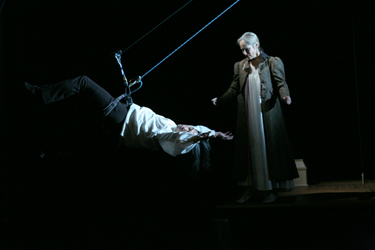 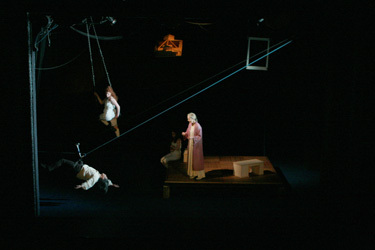 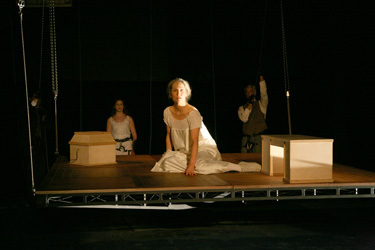 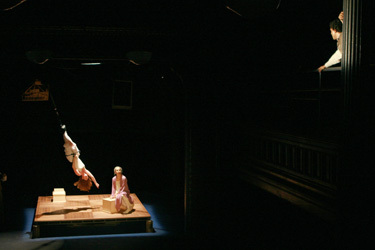 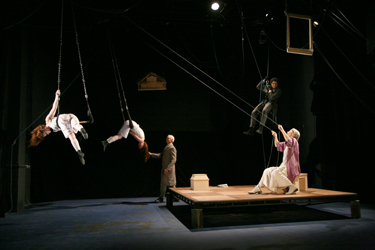 First performed in Seattle, 2005, Gravity is a part of the Gravity/Flight/Balance triology created by Robyn Hunt and Steve Pearson. 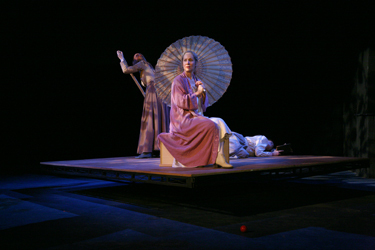 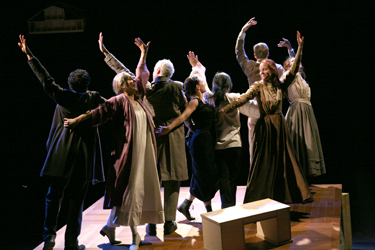 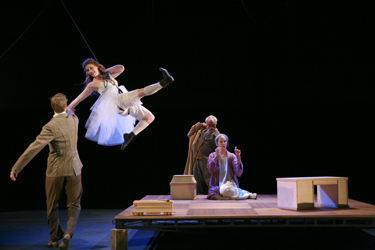 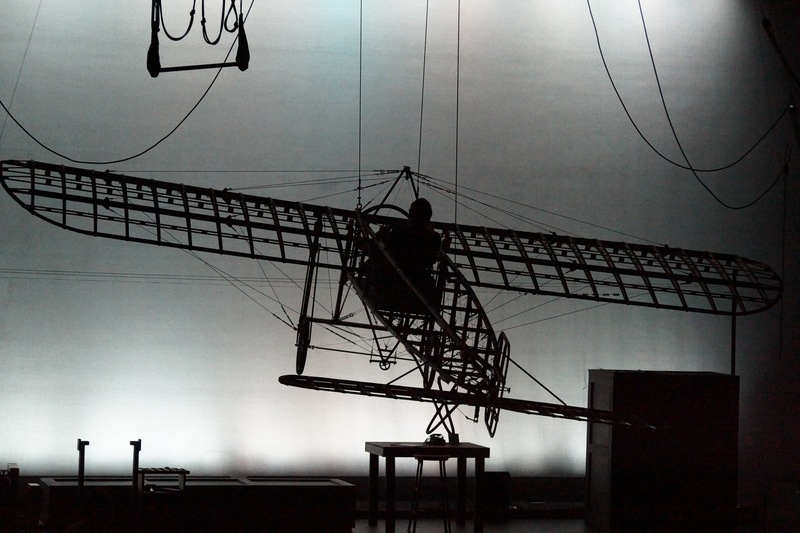 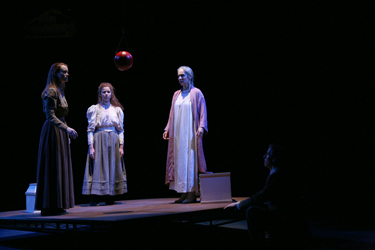 Gravity follows Ranevskaya of Chekhov’s the Cherry Orchard a decade after losing the estate. 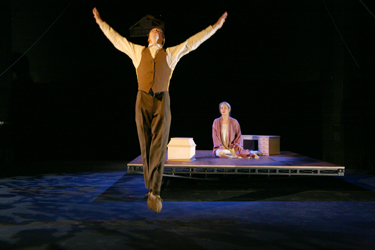 She now resides in 1911 Paris and relives the loss of home, love and child as the streets of Paris are flooded not only with a deluge but also with the impossibly elegant Ballet Russe and gravity is set free.